Check out the 2nd (“What’s in a like?”) and 3rd (on art crowdfunding and patronage) posts in this series on supporting artists. If you’re a regular reader of this blog you support art. 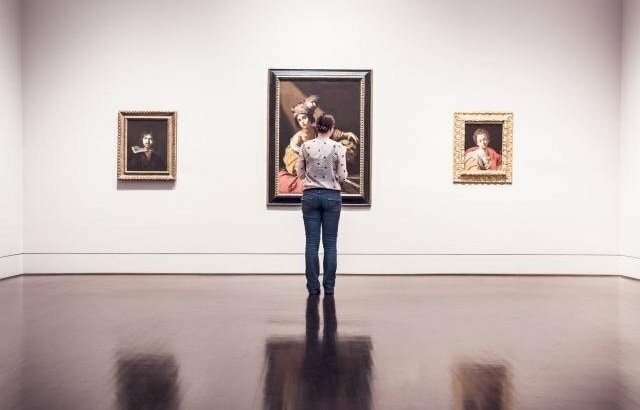 If you found this post through a search engine like Google or DuckDuckGo, you are probably curious or possibly passionate about creative arts. Since I always want us to discover and support fine artists, here are some of the ways that I’ve backed others and can be supported by you. Starting with this post, I’ll suggest at least three ways that you can encourage your favorite musicians and creative people to do what they love. Sometimes, the most obvious means are right in front of us. Yet somehow, we miss them. That’s certainly the way it is with artists and the art they create. We may think that their art is beautiful. But until we buy art, it’s just a photo in a gallery or a digital blob on a streaming radio service. And a blob or any sort of “just a…” will never compare with music playing through your own headphones or visual art displayed in your own space. One of the best ways to support artists is to buy art. That’s why it’s so important to complete the cycle of art: inspiration, creation, witnessing. In a vastly oversimplified summary, the cycle of creativity might look something like this: The artist looks for inspiration. And when they find it, they begin the creative process. That process has similarities and differences in every artful expression. For example, if you search for “different creative process” you’ll see 4, 5, 7, 10, or more steps/stages. There are a few artists or art forms that defy this pattern, but for many, having someone see or hear the art is a part of the creative cycle. Visual art is — by its nature — completed when someone sees it. Musical arts may be a wonderful form of expression without someone (besides the creator) hearing them. But a listener brings another kind of completion. Almost every musician and artist has a way for you to buy art from them. Most of us have a website where you can purchase our art. Even better, check out the venues (art galleries, shows, live gigs, etc.) where art is displayed and performed. My own experience is that creating music solely in my studio is a completely different experience both from creating collaboratively and from having an audience. These days, the collaboration and the audience may be in the same room or across the world, connected through the interwebs. The audience may be one person or dozens. Clearly, the number of listeners also can have a huge impact. Though I still prefer making art with people in the same room, I enjoy wonderful collaborations with people I’ve never met face-to-face. Like those connections, most people who buy art (namely, music) from me are people I have not hugged or shaken hands with. We’ve never been in the same room. So, I take this opportunity to say to you again: Thank you for supporting other artists and me. I’ll be offering two more suggestions for ways to support art in the next few posts. Please subscribe to this blog or stop by again soon. Buy art, and participate In the creative process by witnessing. These are things we all can do, and these are things that enrich both artist and witness/participant. Don’t know where you’re going next, but I am thinking about how we all can reflect on our own creative process to better connect with art and artists. Thanks, Stan! We are definitely thinking along the same lines, Nancy! You are describing elements of what will be in my follow-up posts about other ways to support artists. Thanks for reading and pondering.